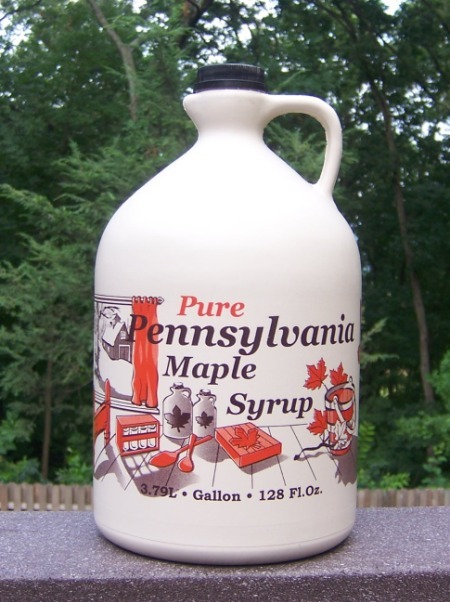 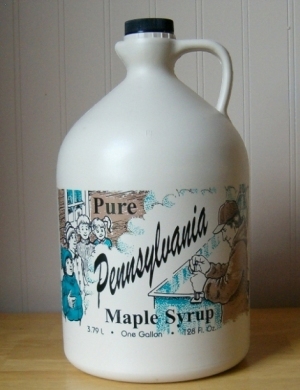 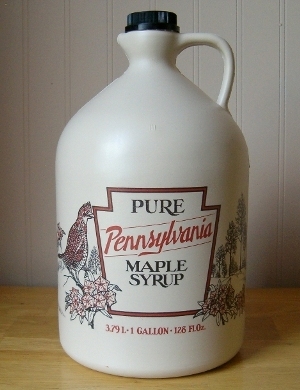 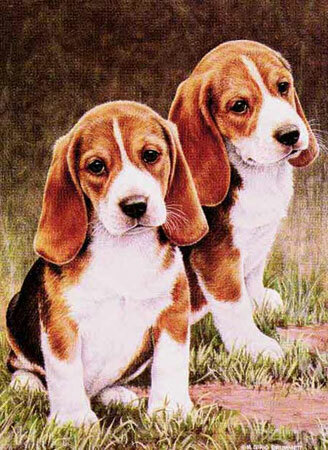 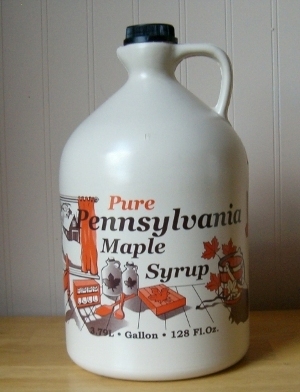 "We do not use any fertilizer or additives (no formaldahyde) of any kind"
"pennsylvania maple sryup grade b"
Maple Syrup comes mostly in a plastic jug but may come in either a plastic jug or a tin (which may or may not be the one pictured below). 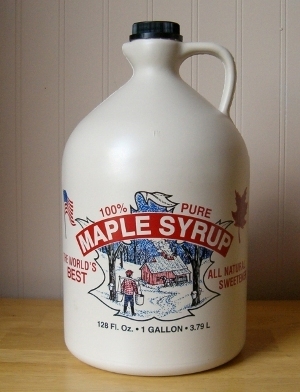 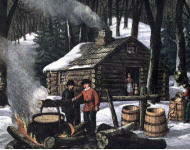 Most of the maple syrup is packaged in the large jug pictured above. 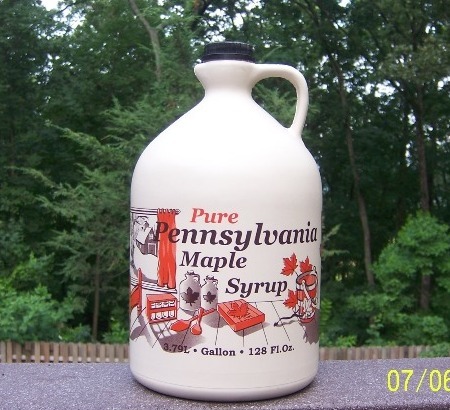 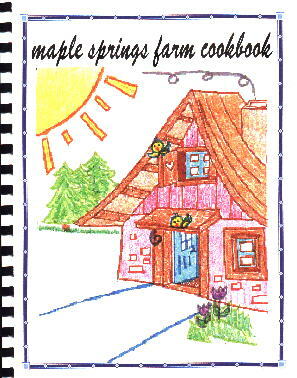 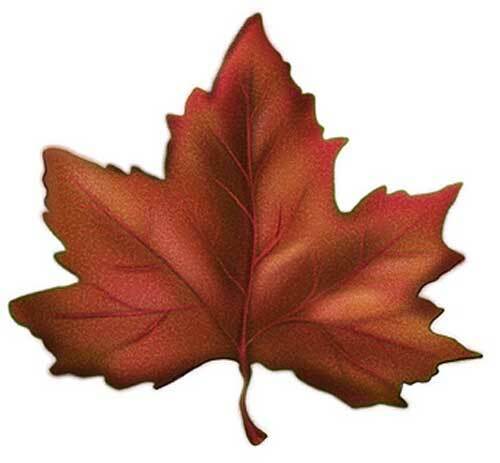 "pennsylvania maple sryup may come in container pictured above"